Hatched Head Chef Shane Marshall. Image courtest of Hatched. New year, new restaurants. From Bill Granger’s adored Clerkenwell outpost to an ambitious South London gem, 2019 looks set to be a cracker—and they’re all New on Resy. Headed up by chef Shane Marshall, the food, setting and service at Hatched quickly outstrips any neighbourhood connotations, especially for a restaurant tucked away between Wandsworth and Clapham Junction. 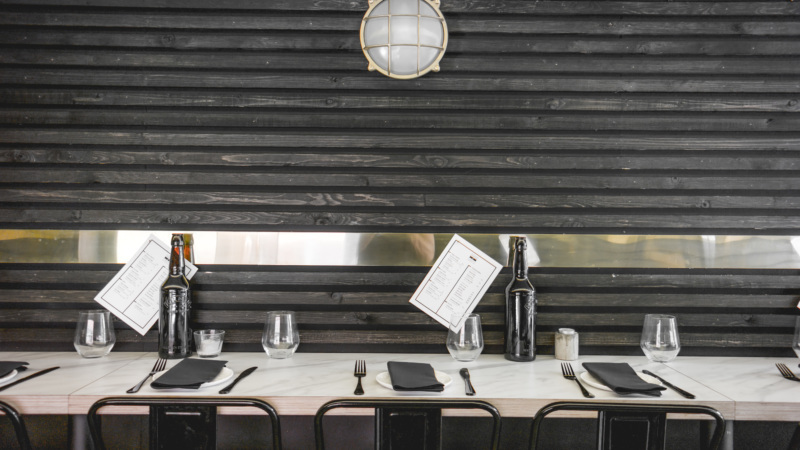 Grounded in British and French cuisine, cooking is both accomplished and creative (the pain perdu is a must), while details such as minimalist decor and individual cutlery drawers at tables will remind well-traveled diners of spots like Copenhagen’s Relæ. A restaurant for every occasion, Granger & Co is an aesthete’s dream; set in a bright, minimal space overlooking Clerkenwell Green, it’s a shoo-in for long lunches and casual get-togethers with friends. Cocktails are a must, and the evening menu of Australian dishes—the shrimp burger with sesame gochujang is superb—is more than a match for the ricotta hotcakes that locals flock here for at brunch. Outside of a reliable gastropub and a coffee shop serving a decent latte, the expectations set on most neighbourhood restaurants are usually modest. This, in itself, is a reason for West Hampstead locals to celebrate—The Swing’s eye-catching interiors and colourful menu of East Asian-inspired dishes add a dash of vibrancy to Mill Lane. Cocktails are essential, as are the tuna tacos. Elliot’s expertly treads a fine line between the intimate wine bars of the old world and the cool kids that have made natural wine the tipple du jour. And while the lights are turned low and the Mediterranean-inflected small plates feel familiar, bear in mind that the impeccably-sourced ingredients are cooked over open wood fire, and that the wine list is made up entirely of low-intervention bottles. The lunch-only cheeseburger is a classic, and the location on Borough Market’s doorstep is also a dream. What happens when a group of ex-Hawksmoor and Social Company alum conspire to open an American restaurant? The Fat Bear is the result—a laid-back bar and dining room in St Paul’s specialising in jazz, bourbon, and a rich tapestry of classic regional dishes from the US. Expat Judy Ong leads the kitchen, executing classics like corn-fed fried chicken and waffles and Texas-style braised brisket—perfect for a knees-up or a post-work celebration.